A lush hand painted botanical print commissioned by Saatchi & Saatchi for their ‘Family Dinner’, an annual client appreciation banquet. Amaryllis, ferns, orchids and tropical fauna entwine to evoke a moody jungle wallpaper, which was opulently framed throughout the space. 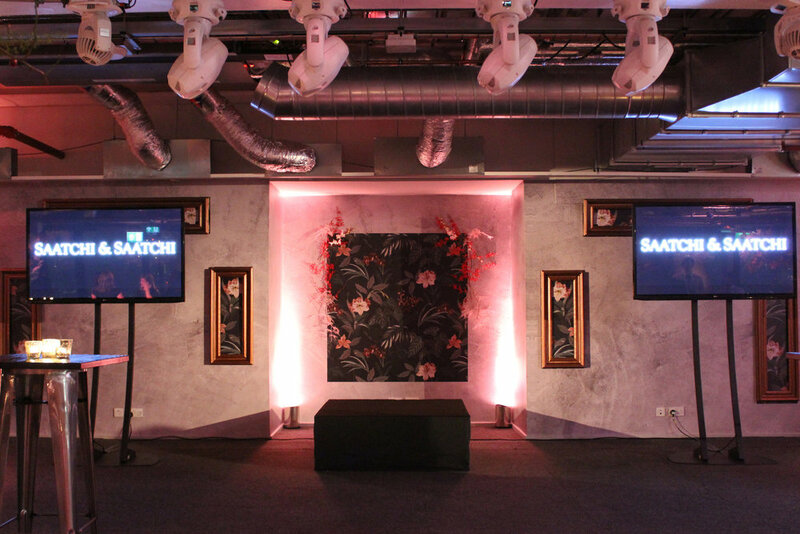 The event was produced by the beautifully creative design agency, Kit&Caboodle and took place 500ft above the city, at London’s Landing Forty Two.